Jewish and pro-Israel groups hail Trump for saying US should recognize Israel’s sovereignty over the Golan Heights. 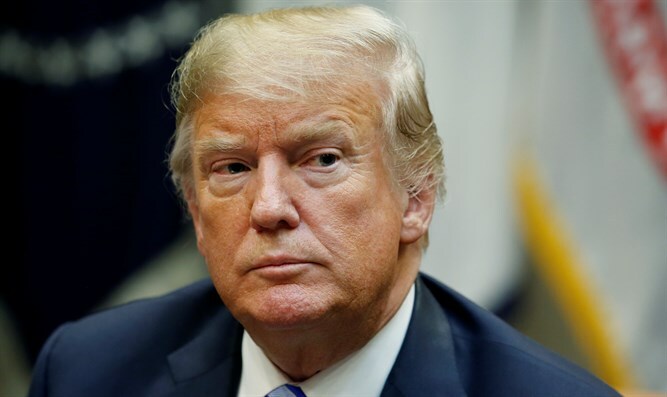 Jewish and pro-Israel groups hailed US President Donald Trump on Thursday, following his tweet declaring that the United States should "fully recognize Israel’s Sovereignty over the Golan Heights." “Henceforth the Jewish community will always recall the President's friendship and kindness on this momentous holiday,” he added. “The ZOA heartily agrees with President Trump that now is the time to recognize Israeli sovereignty over the Israeli Golan Heights. The President’s tweet is especially welcome and appropriate today – Purim – while Jews throughout the world are celebrating being saved from annihilation by a wicked Persian viceroy centuries ago. Israeli sovereignty over the Golan is a key bulwark against Iran and Iranian-backed terror groups and regimes that threaten the security and stability of the United States, Israel, the entire Middle East, and beyond. There are no viable substitutes for the topographical advantages, early warning locations and strategic depth provided by Israel’s retention of and sovereignty over the Golan Heights,” it added. Similarly Christians United for Israel welcomed Trump’s tweet, with its founder and chairman Pastor John Hagee writing, “CUFI, the nation’s largest pro-Israel organization, welcomes Pres. Trump’s comment that ‘it is time for the United States to fully recognize Israel’s sovereignty over the Golan Heights…’ The President’s comment comes after a month-long CUFI lobbying campaign…Recognizing Israeli sovereignty over the Golan Heights is the right policy and the time to enact that policy has come." In a joint press conference with US Secretary of State Mike Pompeo following the tweet, Prime Minister Binyamin Netanyahu called Trump's announcement a "Purim miracle." Similarly, a host of Republican US lawmakers praised Trump for the move.